The Chicago Board of Elections is now open for Early Voting. Cast your ballot at 69 W. Washington Street through Sunday, October 9th. 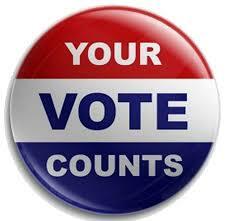 Starting Monday, October 10th through Monday, November 7th the Early Voting location moves to 15 W. Washington Street. This entry was posted in Community News, Ward 44 and tagged elections, voting on October 21, 2016 by elvn_updates.